You know you’re at a stylish community BBQ when it offers a skateboard clinic. That’s exactly what the 71st Precinct did in this photo from okbana taken at the Parkside Playground. 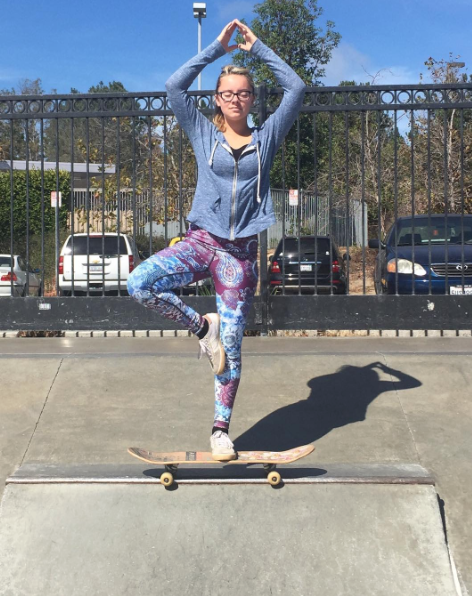 If you want to know more about Skate Yogi who put on the clinic check them out through the link. Or go through okbana’s bio as he’s the founder. As for this photo – so much style – red helmet matching the sandals – and yes when you’re having fun skateboarding you can where sandals! Looks like she’s getting excellent instructions & she’ll know when it’s time to get serious skate shoes. 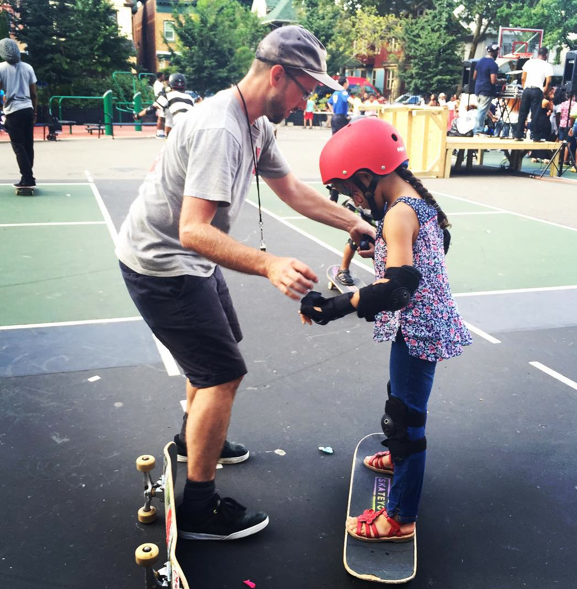 Keep it stylish on & off the board – hope to see more pictures from skate clinics soon! I found out about Nux USA from my mom. She handed me a business card where the job description said In-House Sales Diva and said “You two might have some things in common.” I was intrigued so I investigated – the following is what I learned from Christina Jones – the In-House Sales Diva herself and Malek S. Neman founder & CEO of Nux – activewear for inspired living. SF: I love Nuxology – who came up with that and was it before or after the clothes? MSN: I have always been a “seeker”. Along the way, in my life as a seeker, I have learned many things from masters, teachers, wise friends and my travels. NUXOLOGY is an blend of such learnings that I try to apply to my life and that I think applies to our work. SF: What’s your role and how long have you been there? MSN: I am the CEO of NUX and started the company in 2007.
evoke. I loved reading that on the webpage. How do you hear back from customers success & how do you share that? MSN: We have open social media channels of communication (such as Instagram and facebook), where people tag us wearing our clothing, hashtag NUX or NUXUSA, or send us pictures of themselves working out in our clothing. We are always trying to improve on our communication. SF: Compression – what kind of compression would you recommend for skateboarding? What kind is the one I liked based on looks? great for higher impact activities; compression holds you in, and helps blood flow and perhaps is even more protective in case of a fall. A moderate compression piece would work well for skateboarding. MSN: There are many compression products on the market for runners and cyclers … compression leg sleeves, compression arm sleeves, etc. The benefits of these pieces are well documented. We at NUX offer beautiful articles of clothing with a built in compression. So it is fashionable and functional. SF: Do you think wearing a compression top helps core strength? And if so why? I guess I’m wondering if it makes it harder to move but easier to be straight. MSN: I am not sure about core strength, but we have received e-mails from customers with back problems telling us that the compression tops help with their back problems. MSN: We make everything with love in Los Angeles, California! I appreciate Nux taking the time to answer my questions and I do recommend active wear for skateboarding because it is fashionable and functional. It is true that you don’t see a lot of active wear clothing at the skatepark. There was a time when you didn’t see girls at the skatepark either. So why do I think active wear has a place at the skatepark? I believe in smart material – material that wicks sweat so you feel dry – that’s smart. Material that improves circulation and can lessen back pain – that’s smart. Material that doesn’t split when you move while skateboarding – that’s at least helpful if not smart! And above all – I believe in options. Sometimes I want to wear jeans, or skirts, or active wear, or . . . . I’m going to wear it because I want to & can. There is no skateboarding uniform – wear what you want & wear it well. Do you have something to recommend while skateboarding? Send me a picture and your story – because more girls do skateboard as they see girls having fun skateboarding & staying true to their style. Abrielle is six and wishes for more girls to skate with. Can we make that happen? Map says Kids That Rip is in Mesa Arizona. I would really love if other skater girls in Mesa, AZ showed me how they keep it stylish on & off the board – skatingfashionista@yahoo.com or tag me on Instagram skatingfashionista. And if anyone is looking for a large gathering of skater girls – mark November 7th on your calendar because EXPOSURE Skate 2015 is happening at the Encinitas Community Park. 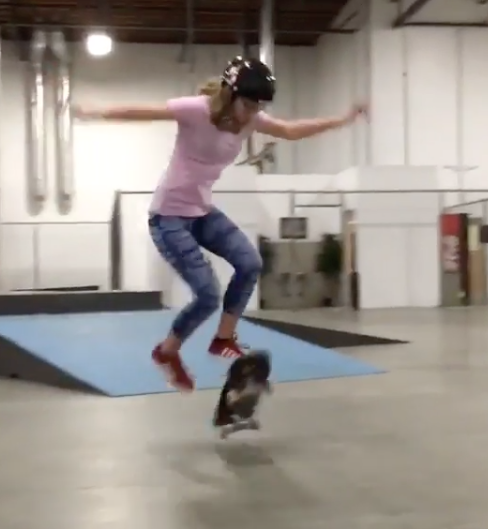 Don’t compete – still come – I’ll be there at the Learn to Skate Clinic and I love meeting girls that love to skateboard just because – that’s real style! I would say Mesa, Arizona is not too far from Encinitas, CA – but I’ve never been to Arizona – so I’m guessing that it’s not too far! Brunamonamu shares this picture from Eixão Norte, Brazilia. We call it Pico dos Longbrothers. The last time I skated between the cones was at Skate Beyond the Scars – if you haven’t tried it – do it – it’s so fun after all it’s Sunday why not make it Slalom Sunday! Till next time keep it stylish on & off the board – all boarding is fun! 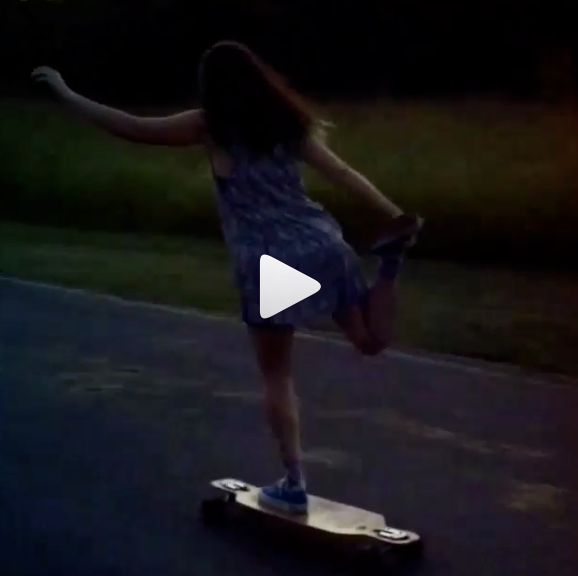 I skateboard for fun – but I don’t think I was this happy my first time on a skateboard. 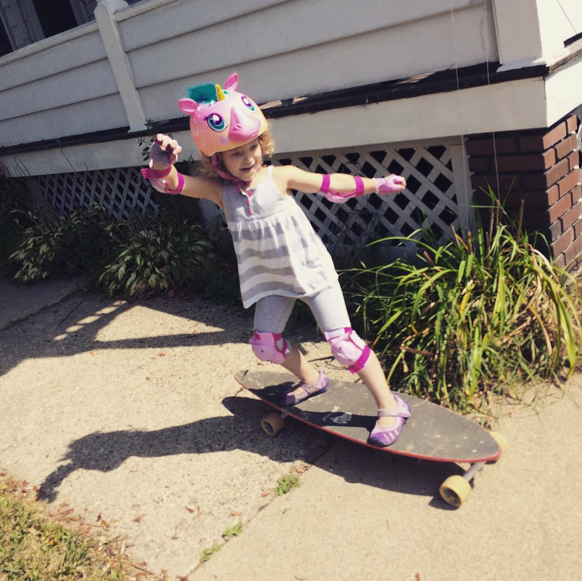 Thanks Eric for sharing this rad shot of your 4 year old’s first time on a skateboard. I love her style especially the smile & the self-confidence. A picture this great tells the whole story – #girlscanskate & skateboarding can be fun & fashionable – so till next time keep it stylish on & off the board! Ali_stevens shows us Weeeeeeeeeeeee is a word & feeling – I feel Weeeeeeeeeeeee just looking at the photo – if you need more click on the link for the video! 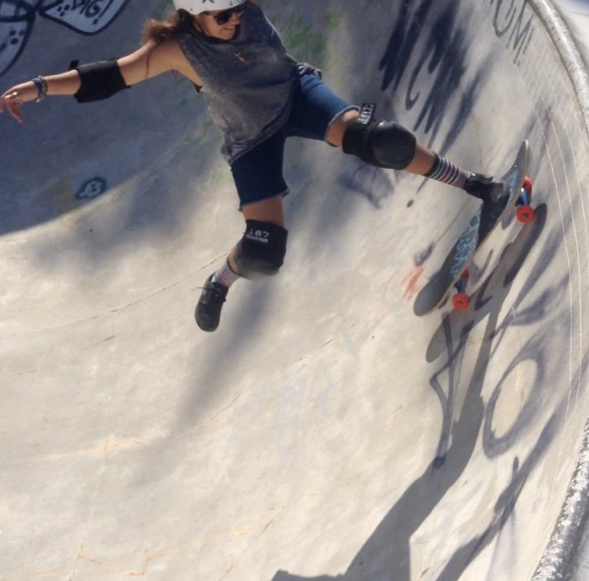 Ali is a Canadian amateur skateboarder who’s sponsored by Volcom, PawGrip & SIC 970 Headwear. She’s definitely stylish on & off the board. More girls skateboard when they see girls – so take time to show us where you are skating! Skateboarding should be fun – keep it fun and you’ll always be in style. Liza is a sassy songstress committed 2 the betterment of society thru creative revolution. There’s nothing more controversial than telling the truth. I never thought about the truth being controversial till I red her bio. Maybe that’s why there’s always such a reaction when I say my mission is to get more girls skateboarding for fun & keeping it fashionable – the truth is girls can skate and be stylish! Be someone who supports girls being who they are! It’s time for everyone to know the truth – one is girl is strong many girls working together are invincible! London’s Calling and they said check out the House of Vans. 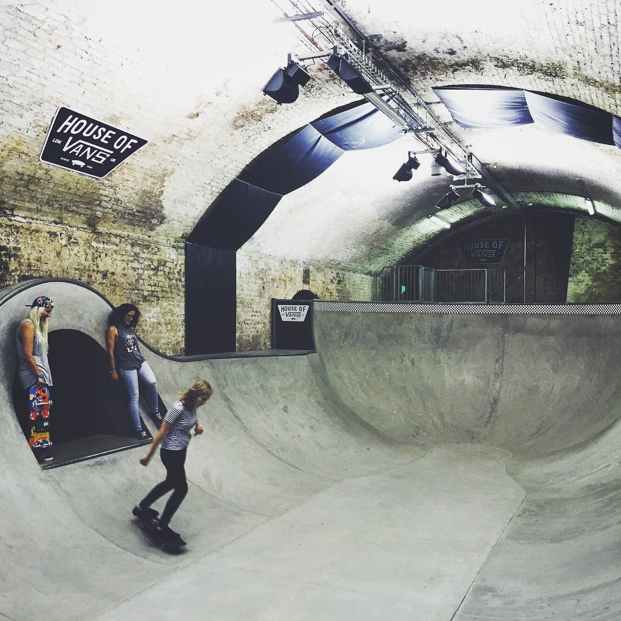 lovelks shared this picture from a Girls Night at the House of Vans London. She had a rad time and definitely plans on skateboarding more. Usually that’s all it takes – try skateboarding, like skateboarding, keep skateboarding. 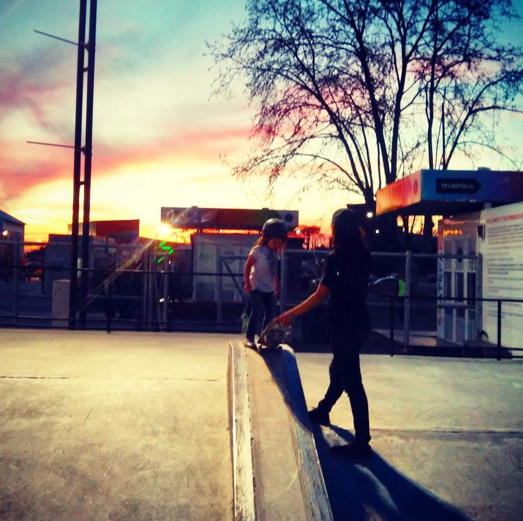 Keep sharing your pictures of skateboarding for fun – especially love the ones where girls are having fun together. Ailin is 8 & her sister Zoe is 4 – this picture of her is blurry but you should be able to click on it to see the video. Thanks you tonari_no_charol for sharing this and for encouraging Ailin & Zoe to do what they love. Till next time keep it stylish on & off the board. And keep up with skatingfashionista Instagram – collecting pictures of skater girls around the world to make a collage for a calendar. All boards, all ages, all levels – we have more fun & are stronger when we work together! Where in the World is She Skateboarding? 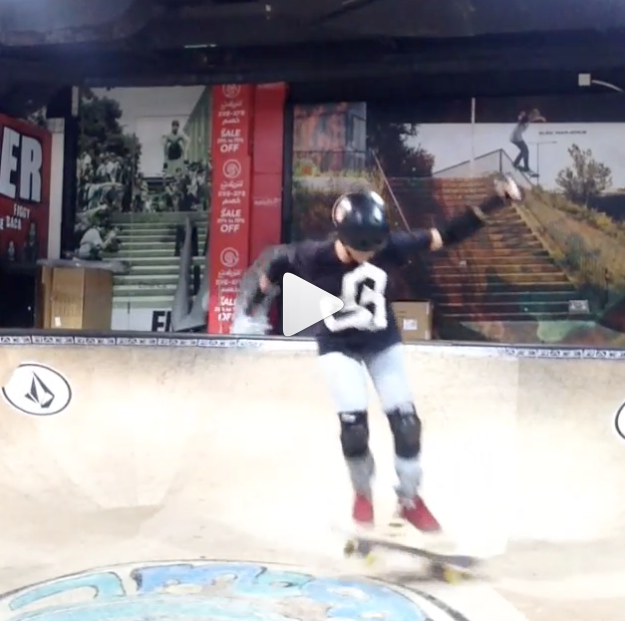 Have you guessed where she’s skateboarding? She’s at the Dubai Mall – thanks w.s2015 for sharing this video of you getting your switch backside shuv it’s pretty well also got switch fronside but they were sketchy. I would not have guessed Dubai Mall but I can sleep better knowing that such a mall exists with such a rad skatepark. Where are you skateboarding? Take time to tag me so we can all see girls all around the world – having fun & keeping it stylish!